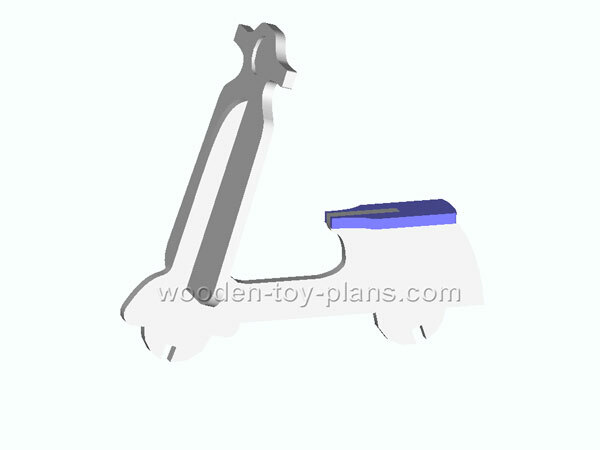 This is a doll size or desktop version of the Motorcycle Rocking Horse Plans. 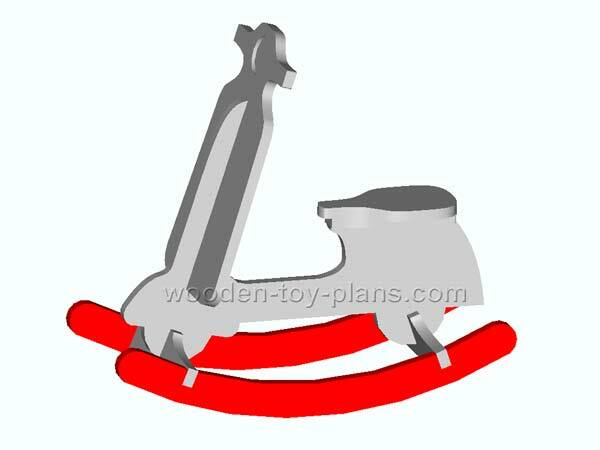 Easy to make and ideal for beginners, this desktop rocking horse stands almost 200mm (8 inches) to the top of the headlight. Use 6mm thick (quarter inch) MDF (Medium Density Fibreboard) or good quality plywood. 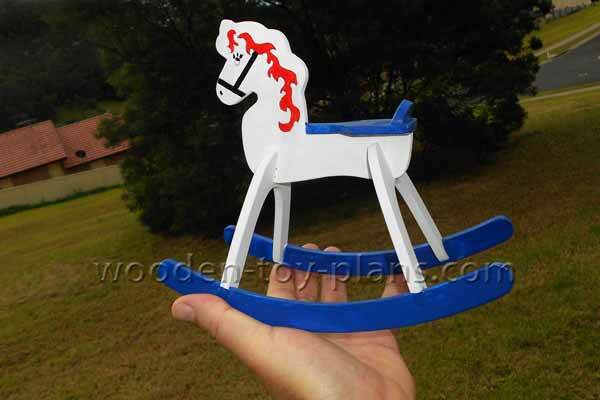 I made this one from scrap wood left over from making the templates for my rocking horses. 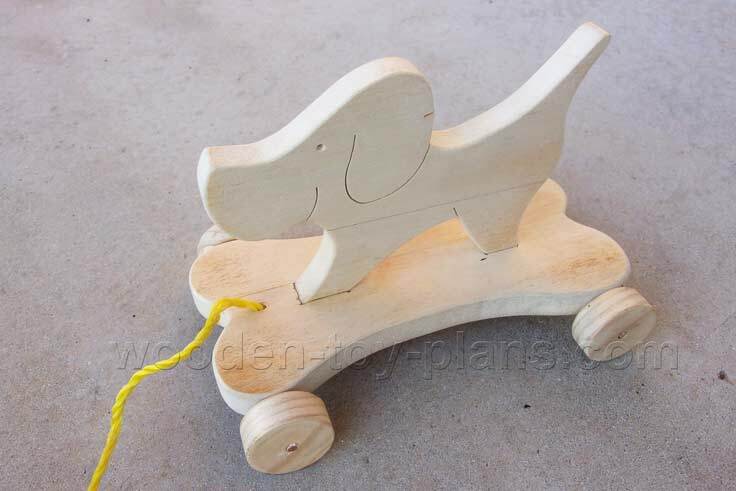 The right tools make all the difference in the enjoyment of the hobby of woodworking and woodcraft, which is why I would recommend a scroll saw for this project. 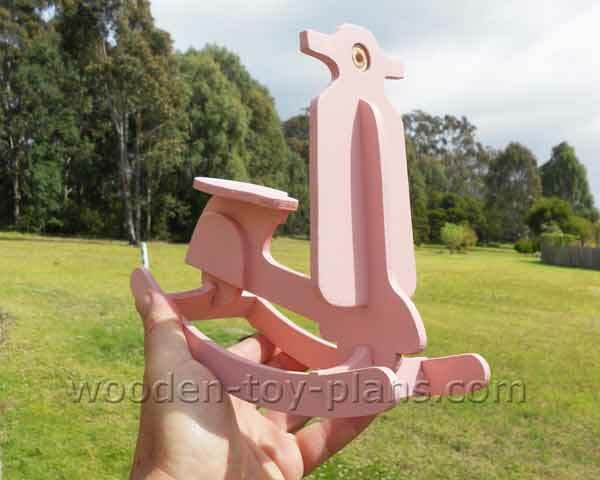 You can also use a jigsaw, like I did, but scroll saw gives a much smoother cut that need little or no sanding. 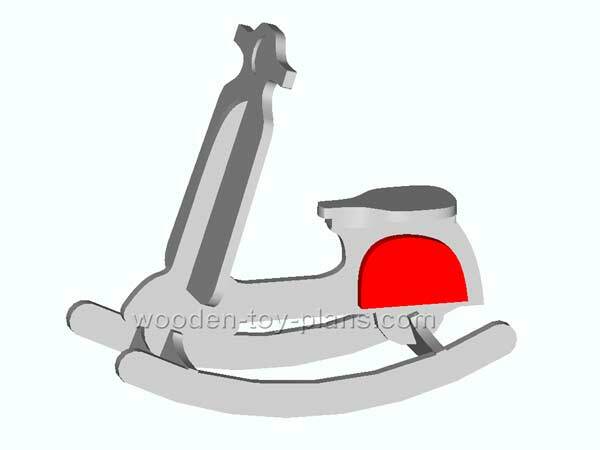 If you are on a really tight budget, or if you are willing to spend the time and effort to learn a new skill, a fret saw is also an option. Every household has a corded electric drill, and a battery powered ﻿cordless drill is also useful for driving screws. Why not have both? Use a sharp chisel to cut the slots. A wood file and a sanding block rounds out the list of tools for this project. 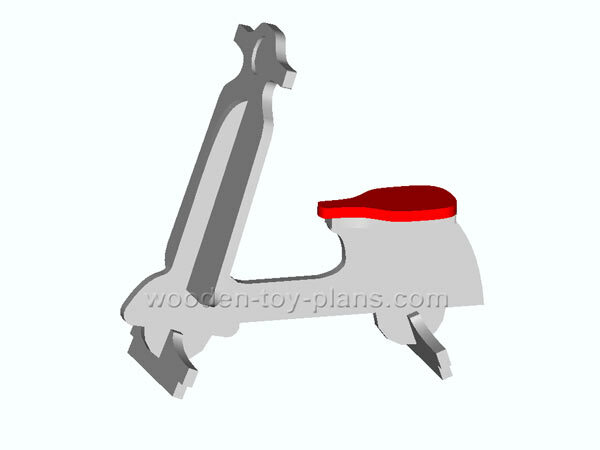 Download a free PDF copy of the motorcycle rocking horse plans. 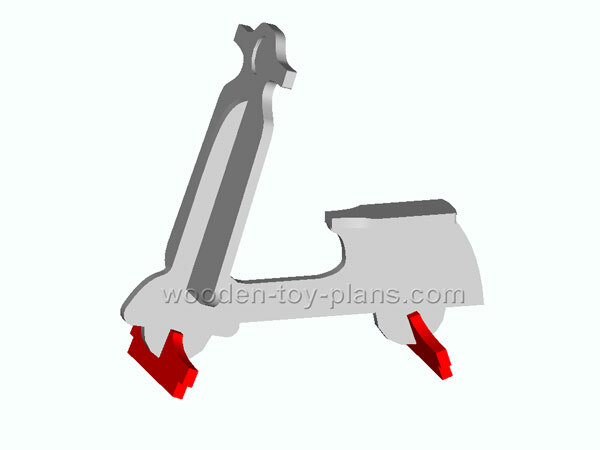 Look for *motorcycle-rocking-horse-plans.zip* (without the stars) on your computer - usually in the download folder. 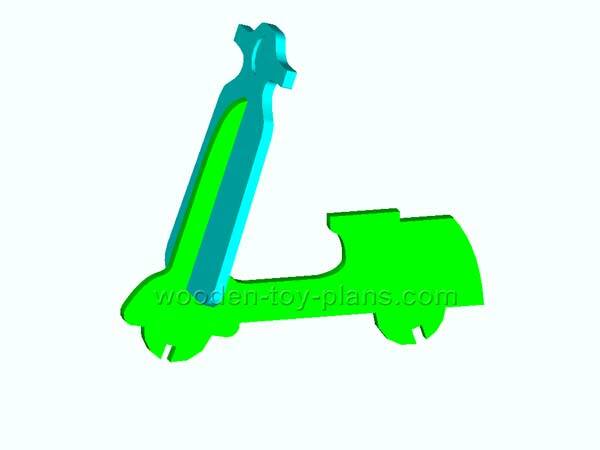 This is a compressed file containing the full size patterns and instructions to make this toy. Unzip the file and print the templates on your home printer. The method of construction is simple enough, but it is always a good idea to read through the instructions first. 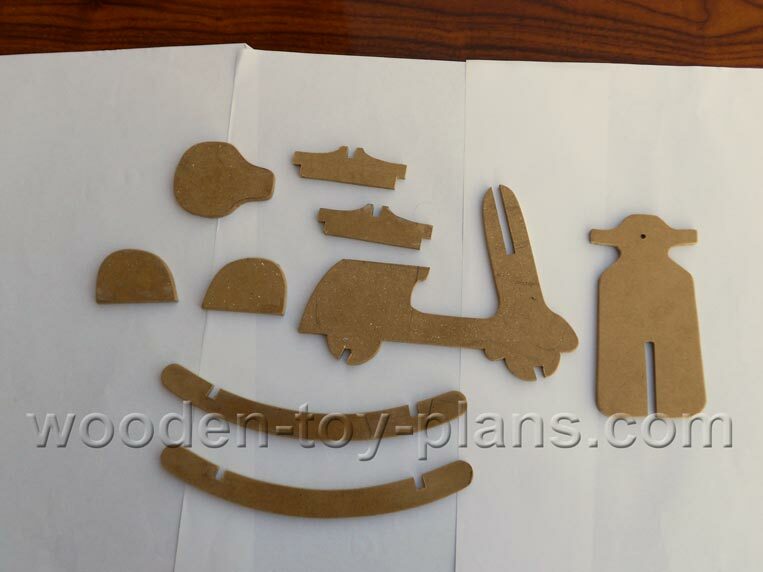 The parts cut out ready for assembly. For the duplicate parts stick them together with double sided tape, or a weak solution of wood glue with newspaper sandwiched in between. Use a scrap piece to measure and cut the slots. At this stage, it is a lot easier to lightly sand the sharp edges. Slot Part A into Part B and glue in place. The gusset (Part G) is glued in place. This fits under the seat for extra support. Glue the bearers (Part F) in place. The rockers (Part D) are fixed in place. Wipe away any excess glue as you go. The final step is to glue the engine covers in place.